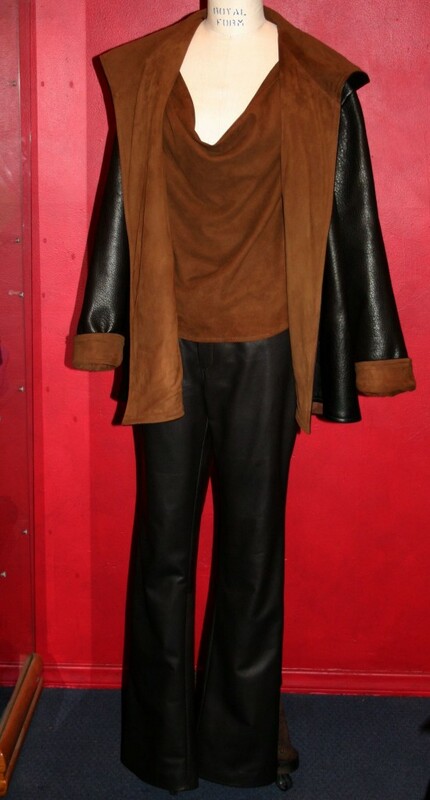 This women's coat is a swing style, hanging loose and free from the shoulder. 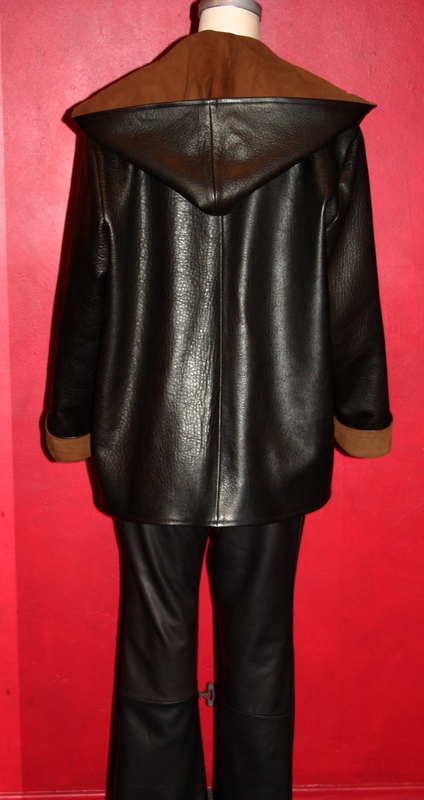 The large rolled back lapel is connected to a roomy hood that hangs softly down the back, and the lapels can be pulled up and across to wrap the coat for warmth. 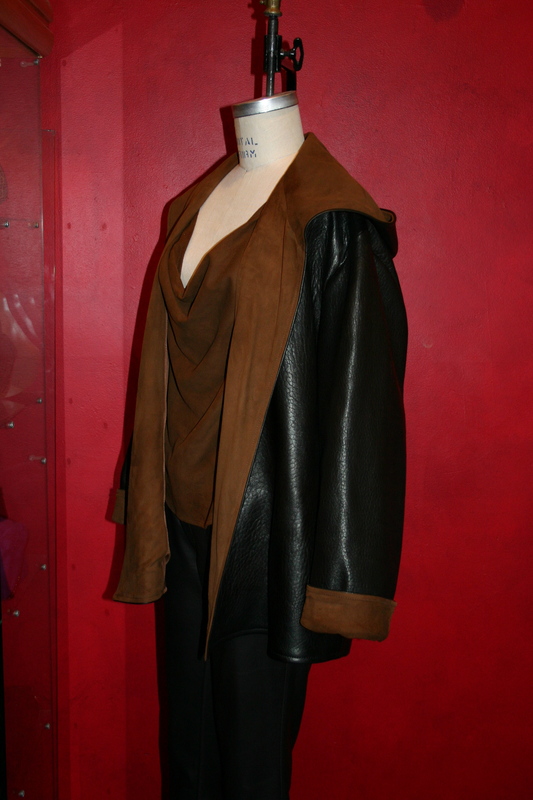 The generous lapels are made from a chamoise suede that matches the draped neck tank underneath, and the hood is lined with this sumptuous suede as well. 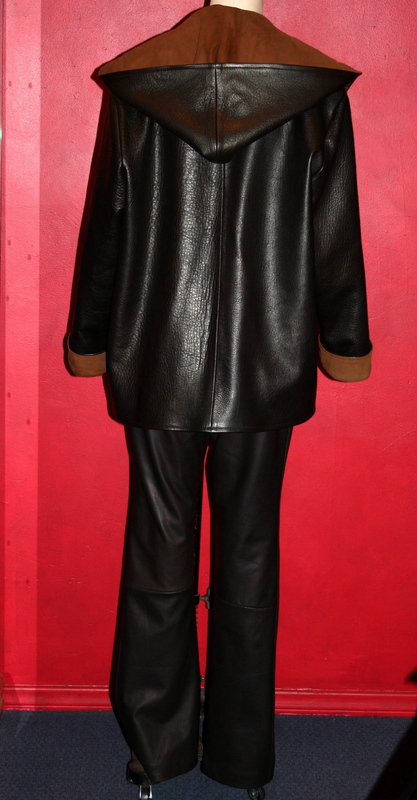 The coat itself is a rich and deep colored brown goatskin and the fitted simple leather pants are made to match. A great outfit if you wear all the pieces together, each piece can create outfits themselves by combining with other pieces from your wardrobe. 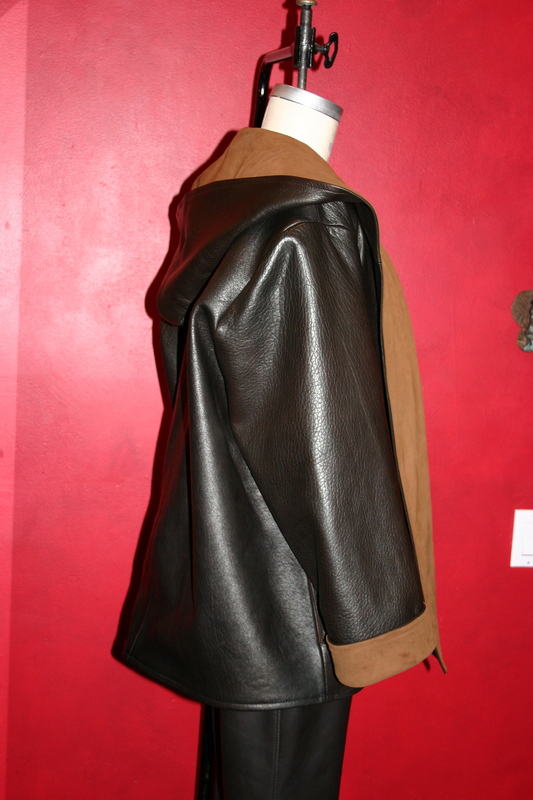 By custom order only, in many colors and varieties of suede and leather combinations. This page shows the price of all three pieces together, but any of the items can be ordered separately, just ask for a price quote.